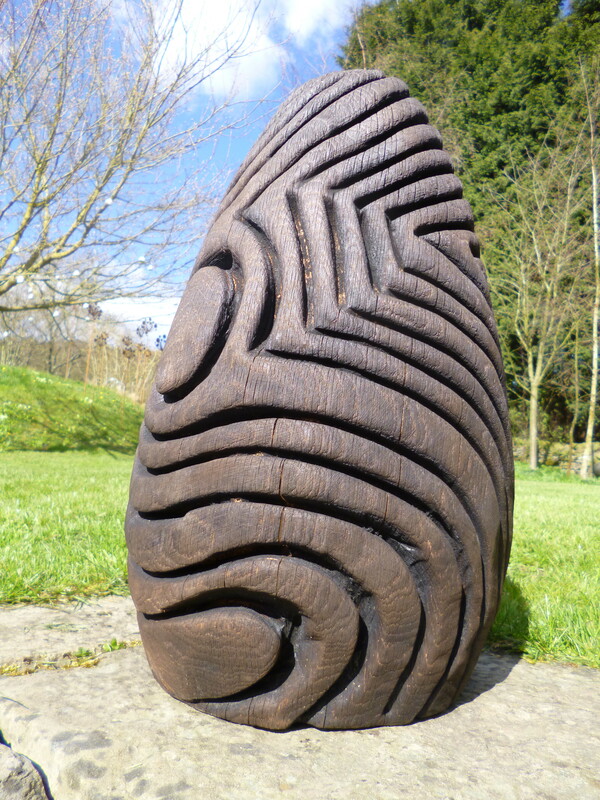 Walter Bailey works predominantly in wood, using woodland as his studio. He makes monumental and intimate sculptures for diverse environments; rural, domestic and urban. He also designs and makes interior and exterior integrated architectural sculpture. His work is held in many public and private collections nationally and internationally. Bailey’s knowledge of nature is experiential and his direct approach to creation is elemental, by carving and eroding with hand tools, fire and water, he amplifies and deepens the biography of his chosen materials and forms. Exploring the physical and emotional geography of place he seeks to communicate at the interface between nature and humanity. I have exhibited alongside Walter for many years and have always been thrilled by the sensitivity of his work. There is a feeling of calm serenity which somehow comes with strength and potency and grounding. I am absolutely delighted to be able to show people his wonderful work, as well as live with it here for a while.